Boone Valley Implement - Real Estate Auction - 3 Tracts - SOLD ! ! - Steffes Group, Inc. Boone Valley Implement - Real Estate Auction - 3 Tracts - SOLD ! ! Boone Valley Implement - Real Estate Auction - 3 Tracts - SOLD ! ! Auctioneer’s Note: Don’t miss your chance to name your price on this huge liquidation auction! 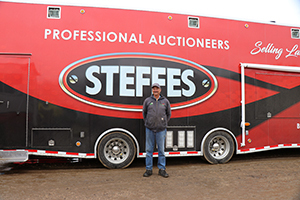 Steffes Group, Inc. is pleased to have been selected to conduct this unprecedented auction of real estate, equipment & assets of Boone Valley Implement & Wright County Trucks. Day 1 of the auction will only be the real estate in Goldfield and Renwick. Day 1 auction will be held at the Oakridge Golf & Country Club in Goldfield. Day 2 will be held onsite in Renwick. Day 2 will be a four to five ring auction of the machinery, equipment, parts, shop equipment, office furniture, pallet racking & more!! Please come prepared, bring extra friends & bidders! Bring your trailers as load out assistance will be available! Open House of the Real Estate will be on Thursday, September 6th from 10-11AM. Take a look at this updated building which lends itself to many potential business opportunities with Highway 3 & 17 frontage! The building has a total of 9,362 sq.ft. with 6,460 sq.ft of shop space with a 26’x37’ office along with 9 mini storage units. The office offers two private offices, a reception/display area and a restroom. The office has a high efficient gas forced air furnace with central air. The shop offers radiant heat with a 24’x14’ overhead door and a 16’x14’ overhead door. City water & sewer. Situated on 3.56 Acres M/L. Vacant lot located south of Tract #1. Looking for a building with plenty of space both inside and out? This property has over 32,000 sq.ft. of space on the main level along with 12.73 acres M/L of land. The building has been converted into a very usable retail display, shop, office & storage areas. The building offers a large display area with five private offices and breakroom. The parts desk area has several rooms for parts storage, along with a large office, two restrooms and workshop area. The 60’x120’ shop has radiant heat with a 30’x16’ overhead door. There is also a large L shaped storage room with a 24’x12’ bi fold door. 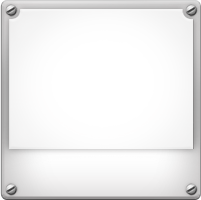 There are two more levels of the school used for storage. Other amenities include gravel docks, covered concrete display area, heating & central air in the offices & retail display area, city water & sewer. This property offers a large area for outdoor retail display on 12.73 acres M/L. Terms: 20% down payment on September 19, 2018. Balance at closing with a projected date of November 2, 2018, upon delivery of merchantable abstract and deed and all objections have been met. Possession: Projected date of November 2, 2018. • This auction sale is not contingent upon Buyer’s financing or any other Buyer contingencies. • Purchasers who are unable to close due to insufficient funds or otherwise, will be in default and the deposit money will be forfeited. • The buyer(s) shall be responsible for any fencing in accordance with Iowa state law. • If in the future a site clean-up is required it shall be at the expense of the buyer(s). • This real estate is selling subject to any and all covenants, restrictions, encroachments and easements, as well as all applicable zoning laws. • The buyer(s) acknowledge that they have carefully and thoroughly inspected the real estate and are familiar with the premises. The buyer(s) are buying this real estate in its "as is" condition and there are no expressed or implied warranties pertaining to the same. • Steffes Group, Inc. is representing the Seller. • Any announcements made the day of sale take precedence over advertising.